Kansas, an earthy place of black loam, wheat, corn, soy beans, sorghum, and sunflowers. Kansas, a prairie-land with cows and calves, flat horizons, rolling hills, enormous skies and expanding clouds. Kansas, the place my ancestors settled after the voyage from the Ukraine and the train ride from New York. Peabody, Kansas, the place they stepped into their New World and created the Bread Basket of America – with the Turkey Red Wheat they’d carried with them. The Leppke farm, where my mother grew up, brought in corn cobs for kindling, milked cows, drove tractor, mended fence, and butchered chickens and hogs. Kansas, where I come and try to reach back to the stories of my parents and grandparents. Where I drive through Peabody, Hillsboro, and Newton and wish the brick streets, stone buildings, and wide-porched houses would talk to me. Kansas, where I feel space to breathe and move, where my senses are stimulated by the humid smells of simple, living things. Kansas, where I show slides and tell stories of my parents’ plain beginnings, before they embarked on the journey to their Frontier World in Alaska. 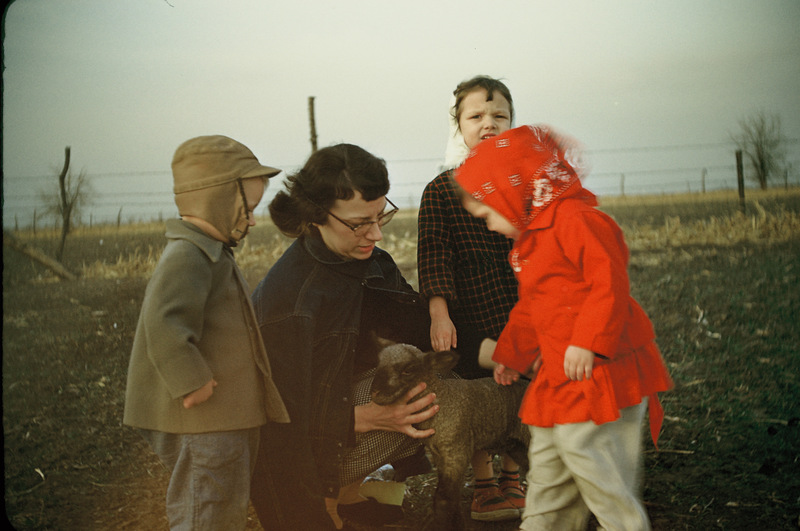 From Kansas wheat fields to Alaska tundra where a Mennonite family found home, yet never forgot their roots.